Pia Mia snapped a shot of a stingray here in July 2018. Bethenny Frankel had “an amazing time” checking out the stingrays, sharks, and “Sea Urchin aka Uni” at the Georgia Aquarium in June 2018. Jamie Chung participated in a “Staring contest” with some fish when she and Bryan Greenberg experienced “Enchantment under the sea” here in October 2017. Evan Ross and daughter Jagger Snow Ross were living that “Aquarium life” here in October 2017. “Met this little guy at the @georgiaaquarium! I think he likes me” is what Mark Ruffalo said about the seal who planted a kiss on his cheek in July 2017. Bow Wow brought his daughter here during their “Spring break/ Birthday week with daddy” in April 2017. 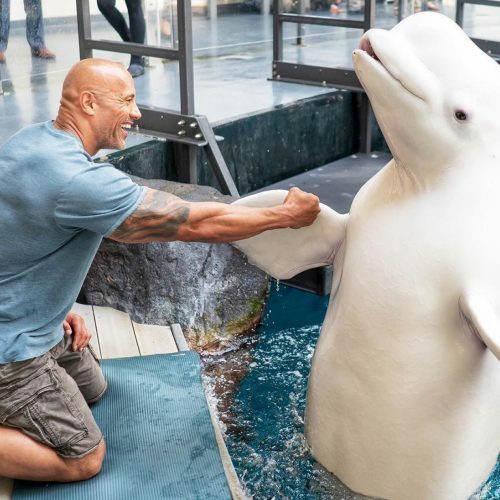 Rebel Wilson reported that the Pitch Perfect “Bellas” — including Anna Kendrick, Hailee Steinfeld, and Anna Camp — “visited our new sea lion mascots” during their break spent here in February 2017. “There’s no greater gift than fatherhood” is what Tyrese said about a photo he posted in July 2016 of him and his daughter watching sharks swim by at the Georgia Aquarium. Molly Sims called the Georgia Aquarium “seriously the best aquarium I have ever been to!!!! !” She and her best friend brought their kids here in April 2016 and checked out the fish and a white alligator. Shay Mitchell was “Living out my ‘Little Mermaid’ fantasy at the” Georgia Aquarium in August 2015 pointing out “My favorite animal” — a dolphin — and wearing “Appropriate head pieces” from the gift shop. Hillary Scott brought her little one to the Georgia Aquarium in July 2015.